SNCF Réseau is the infrastructure manager and the owner of the National Rail Network, and is in charge of the construction and maintenance of the network. It also grants track access rights to operators. SNCF Mobilités operates passenger transport and freight services. SNCF is the mother company of both SNCF Réseau and SNCF Mobilités. Pursuant to article L. 2141-1 of the Transport Code, SNCF Mobilités enjoys a monopoly on passenger transport services on the National Rail Network. Exceptions to this monopoly include cabotage services provided on an international route freely organised by a railway undertaking (article L.2121-12 of the Transport Code) and some operators that are joint ventures with SNCF: Alleo (SNC and DB), Elipsos (SNCF and RENFE), Eurostar, Thalys and Luria. The SNCF also subcontracts some services: Veolia operates two services in Brittany and Keolis, a subsidiary of SNCF, operates the Blanc-Argent line in the Centre region. Other services are marginal and operate outside the National Rail Network, such as Chemins de Fer de la Corse or the Nice-Digne line, operated by Veolia. The three SNCF entities were transformed into state-owned joint-stock companies by Law No. 2018-515 of 27 June 2018. Regarding national services, there is a strategic framework agreement entered into between the state, SNCF Mobilités and SNCF Réseau. This agreement sets out the main objectives, including financial objectives, assigned to SNCF. The framework agreement has a duration of 10 years and is updated every three years. Yes. Freight and international passenger services have also been opened to competition. There are 18 companies operating on the market with a market share close to 25 per cent. The rest are still operated by subsidiaries of SNCF Mobilités. Freight operators are granted track access rights by SNCF Réseau. SNCF Mobilités is a unique example of a company operating both passenger and freight services. may impose sanctions for non-compliance with the rules governing access to or use of the network or the service facilities. The French state, which is in charge of transport of national interest. Regions, which are responsible for organising passenger transport of regional interest. Pursuant to article L. 2121-4 of the Transport Code, regional passenger services are operated on the basis of an agreement between each region (as the regulatory authority) and SNCF Mobilités. These services are called regional express trains (TERs). Regions award five-year franchises and buy the rolling stock. Today, the unique franchisee is SNCF Mobilités, as the network is the National Rail Network. As of December 2019, it will still be possible to directly award franchises without competitive tendering, provided that the contract does not exceed 10 years (article 2121-17, Code and Regulation No. 1370/2007 of 23 October 2007). As of 2023, the use of competitive procedures will be mandatory. Municipalities, which are responsible for urban rail transport, such as metro transport, and would either operate the service in-house or entrust it to operators under public service contracts. In the Greater Paris Region, the Île-de-France Transport Organisation, a public body under the supervision of the Île-de-France region and other communities, is the regulatory body for passenger services. This organisation appoints operators and grants franchise contracts. Thus far, competition has been opened up to international rail passenger transport and national and international rail freight transport only. As mentioned in question 1, SNCF Mobilités currently has a monopoly on national passenger transport. Nevertheless, the sector will be liberalised by 2020-2021 according to the Law of 27 June 2018, which implements a legal framework for an ‘open access’ system. Any railway undertaking complying with certification requirements (including security) may offer services. Companies will be granted access to tracks by SNCF Réseau but must use their own equipment and hire the employees necessary for the service. Regional transport services are awarded under a public service contract regime. Regional transport will be open to competition as of 2019.
a safety certificate issued by French Railway Safety Authority (EPSF). A change of control may impact the professional capacity of a railway undertaking. In this case, the licence may be repealed after prior notice of the Ministry of Transport and a new licence application must be filed (article 12 of Decree No 2003-194 (7 March 2003)). Moreover, the certificate of security may be repealed if the service provider does not hold its licence any more (issuance of the certificate of security is subject to the issuance of the licence). Foreign direct investment in certain sectors is subject to the approval of the Minister of Economy, pursuant to regulations set out in the Monetary and Financial Code (article R.153-1). Foreign investment threatening the integrity, security and business continuity of transport networks and services are subject to prior authorisation from the Minister of Economy. No sector-specific law applies in this case; however, constructing a new rail line is subject to the application of several existing laws. First, it should be referred to expropriation legislation under which the project will be declared of public utility. This procedure involves several prior consultations (public inquiry). A railway infrastructure project should start with preliminary studies to assess its usefulness and timeliness. In a second phase, a public debate lasting four months will be organised under the aegis of the National Commission for Public Debate. Once the debate is over, the Commission would issue an assessment of the project. In a third phase, the project owner would commission preliminary design studies to determine the technical, economic and environmental characteristics of the project as well as its cost. Finally, the public inquiry would be opened, during which the design studies are presented to local residents. Once the public inquiry is completed, the competent authority (the Prime Minister by decree in Council of State for projects of national scope) may or may not declare the project of public interest. Furthermore, such a project may impact the environment and should abide by regulations set out in the Environment Code. With respect to public passenger transport, the principle of continuation of public services, a general principle under French public law, would prevent an operator from voluntarily discontinuing the service. More generally, service conditions are set out in public service contracts and any change would mean amending the contract. Moreover, a failure to meet the contractual indicators would result in a sanction being imposed by the AOT or the contract being terminated for failure of the operator. Before proposing the closure of a line, SNCF Réseau prepares a file on the history and operating conditions of the line section concerned (territorial context, socio-economic efficiency, etc). SNCF Réseau submits the project to the region concerned - the region has three months to make its opinion known. SNCF Réseau publishes a notice of closure in a professional publication - railway undertakings and infrastructure managers of connected networks have three months to provide comments. SNCF Réseau informs the Ministry of Transport of its project and ensures that the closure does not raise any issues concerning national defence. SNCF Réseau may then issue a proposal for closure, stating the reasons why the decision would be justified. The final decision lies with the Minister of Transport. The Ministry of Transport may withdraw a licence to operate in case of serious or repeated failures to comply with requirements as to professional capacity, financial capacity and civil liability under which the licence has been previously issued. if the licence holder intends to provide other transport services than the licensed activities. As with any decision of a public authority, the termination of the licence can be challenged in an administrative court. The challenge must be brought within two months of the decision to terminate the licence. In addition, an operator’s safety certificate may be withdrawn if it does not satisfy guarantees that led to its issuance. Track access contracts also contain default provisions that can lead to suspension or early termination of the contract for failure of the contractor. Finally, an interested third party may always challenge a public service contract. When SNCF entities were public bodies, they were not subject to private sector insolvency law. However, as private companies, they are subject to private sector restructuring and insolvency law (as stated in the Commercial Code). Under insolvency proceedings, an administrator (creditor’s representative) is appointed for an observation period. The administrator’s role is to supervise the managers of the company. He or she may select the contracts to be continued and may demand that existing contracts be continued or decide to terminate any contract that is not necessary or has a negative effect on the company. There are no sector-specific competition rules for rail transport. The French Competition Authority (FCA) applies general competition rules to rail transport, including abuse of dominant position and merger control. In its opinions, the FCA refers to articles 101 and 102 of the Treaty on the Functioning of the European Union and Book IV of the French Commercial Code. There is no sector-specific regulator enforcing competition law in the railway sector. However, the FCA has already issued opinions regarding passenger transport and freight services. In 2013, the FCA issued an opinion (No. 13-A-14) on the railway reform bill and its consequences, especially concerning the creation of a unified infrastructure manager. In sectors already open to competition, the regulator ensures that new entrants can compete on equal terms with the incumbent operator. For instance, on 7 November 2012, the FCA published a decision (12-DCC-154) regarding the merger of Sea France and Eurotunnel Group. Besides the FCA’s power, the Transport Code gives ARAFER powers to ensure compliance with competition rules. As mentioned in question 4, ARAFER guarantees free and non-discriminatory access to the National Rail Network and it may be consulted by all players in the rail sector (railway undertakings, combined transport operators, etc). For this purpose, ARAFER has broad investigative powers and the power to issue administrative sanctions (Commercial Code, article L. 1264-7). The FCA pays particular attention to SNCF’s monopoly. Indeed, it issued several opinions relating to the use of resources resulting from the rail monopoly to give an advantage on competitive markets. In decision 13-D-16, the FCA had to ensure that the SNCF Group did not abuse this situation to distort competition on the local passenger rail market, in which SNCF is active through subsidiaries. The FCA acknowledged the abuse of a dominant position by Keolis, a subsidiary of SNCF, in relation to its competitor Transdev, with regard to its capacity to mobilise resources that its competitors cannot duplicate ( in particular concerning intermodality solutions with heavy rail). Regarding the freight market, the FCA issued decision 12-D-25 whereby the SNCF was imposed a €60.9 million fine for abusing its dominant position. The FCA’s investigation highlighted the use of confidential strategic information by SNCF’s freight subsidiaries. The investigation also showed that SNCF had implemented a policy of overbooking train paths, notably affecting the prices charged by competitors. At the same time, the investigation revealed that SNCF had applied prices below its costs to certain customers and on certain paths, with the aim of preventing its competitors from entering the market. Rail freight operators are free to determine the price they charge. Prices for customers include access fees charged by SNCF Réseau. The price charged by SNCF Réseau for freight transport is made up of a traffic charge and a reservation charge that is modulated according to the portion of the network used, the timetable as well as the quality of the path allocated measured by the average speed of the train. Currently, the level of freight tolls in France is lower than in other countries and is also lower than the real cost of infrastructure. The objective is to catch up with real cost in the next 10 years. Prices charged by SNCF Mobilités are strictly regulated (Decree of 16 December 2011). Every year, the Minister of Transport approves approximately 500 ‘special basic tariffs’ (corresponding to all available rail connections). Moreover, to ensure that tickets remain affordable to customers, tariffs are subject to a price cap. SNCF may freely set its fares as long as they are below the cap. The average price of a train ticket is €7.80 per 100 kilometres in France, which is low compared to €29.70 in Denmark, €28.60 in Switzerland and €24 in Austria. In contrast, the UK tariffs are lower (but the United Kingdom is not equipped with high-speed trains). Regarding network charges, the Network Reference Document specifies all the practical, technical, administrative and pricing information relating to the use of the National Rail Network. Each year, ARAFER issues a legally binding opinion on prices charged by SNCF Réseau. Prices are then approved by the Ministry of Transport and published. The decision approving prices can be challenged before the French Administrative Supreme Court. Regarding transport services, any interested third party may challenge regulated prices in court. Rail transport is governed by the principles of equal treatment and non-discrimination. This does not prevent persons in objectively different situations from being treated differently and, in particular, from being offered different tariffs. To this extent, SNCF may freely set prices as long as they remain under the cap referred to in question 16. SNCF has therefore introduced reduced fare tickets and special services. These multiple tariffs enable SNCF to apply a pricing policy close to the yield management methods used by airline companies. SNCF also implements social tariffs, generally provided by legislation or regulatory acts, in favour of disabled people, larger families, people under 25 years old or on annual leave, etc. The cost of these discounts has been assessed by SNCF to be €50 million per year. 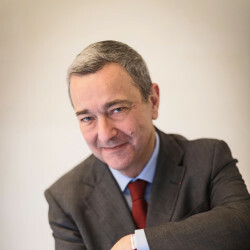 SNCF Réseau is the manager of the national rail network. Its management aims to ensure optimum use of the national rail network, focusing on safety, service quality and cost control and under conditions designed to guarantee the independence of the functions listed in 1°. Moreover, a right to network access is granted under article L2122-9 of the Transport Code. Pursuant to this article, all railway undertakings have a right to access National Rail Network under fair and non-­discriminatory conditions. ARAFER ensures fair and transparent access to the National Railway Network. SNCF Réseau must therefore grant network access to other rail transport companies provided that they meet the requirements described in the Transport Code. Pursuant to article L 2133-1 of the Code, ARAFER may limit or restrict third-party access for new services if the economic balance of one or more public service contracts covering the same track is likely to be compromised by the said right of access. An appeal may be lodged by any person authorised to apply for railway infrastructure capacity or any infrastructure manager before ARAFER in accordance with the provisions of article L.2134-2 of the Code. Pursuant to the Transport Code, SNCF Réseau is entitled to determine the access charges for use of the National Rail Network. These charges and their method of calculation and collection have been established pursuant to Decree No. 2003-194 of 7 March 2003 on the use of the rail network. The charges are proposed by SNCF Réseau subject to ARAFER’s approval. ARAFER ensures that the pricing policy complies with national and European rules (ie, access charges must reflect the direct cost of using the network, ensuring the necessary conditions to allow various railway undertakings equitable and non-discriminatory access). The charges enter into force upon ARAFER’s approval. In line with the fourth EU railway package, the French government recently adopted a reform introducing open access competition from 2020 and competitive tendering of TERs from 2023. This reform aims to put an end to SNCF’s monopoly on domestic passenger transport services. Rail transport providers must serve all customers in accordance with the principles of equal treatment and non-discrimination. The State shall ensure the coherence and proper functioning of the national rail transport system. It does set national and international strategic priorities. In accordance with the principles of equality and non-discrimination, it ensures: 1° The coherence of the offer proposed to coordination of the rail transport organizing authorities and quality optimization service provided to users of the national rail transport system (. . .). Service standards are generally defined by Law No. 2009-1503 of 8 December 2009, which details the procedures for implementing Regulation (EC) No. 1371/2007. The corresponding provisions have been included in articles L. 2151-1 and L. 2151-2 of the Transport Code. Regarding TERs, the public service contracts entered into with the regions include key performance indicators and levels of service. Contracts entered into between rail transport companies and users abide by ordinary contract law. Under the Civil Code, total or partial non-performance of the said contract may give rise to the carrier’s contractual liability (article 1147, Civil Code). Among the obligations incumbent on the carrier are the obligation of safety of result and the obligation of punctuality. The carrier is also subject to compliance with article L. 113-3 of the Consumer Code, which sets out an obligation to provide information on the conditions of the journey. The Transport Code also devotes approximately 20 articles to SNCF (articles L. 2141-1 to L. 2141-19). SNCF has statutory obligations to rail passengers, approved by Decree No. 83-817 of 13 September 1983, as well as SNCF’s commercial conditions of sale. Under ordinary law, the competent courts are those of the defendant’s place of residence or, in contractual matters, those of the place of performance of the service (articles 42 and 46, Code of Civil Procedure). Rail litigation has become rare and this trend is fostered by SNCF’s general conditions of sale (in particular article 5.1), which stipulate that in the event of ‘complaints or disputes, the parties will endeavour to find an amicable solution’. Railway undertakings are obliged to establish a complaints mechanism concerning the rights and obligations set out in Regulation (EC) No. 1371/2007. Therefore, after contacting the company’s commercial service, the Order of 20 August 2015 transposing European Parliament Directive 2013/11/EU into national law provides for an appeal to an ombudsman in a dispute between a user and a transport operator. This would result in an extrajudicial settlement. Rail safety is regulated through a national safety management system (SMS), a structured and organised set of means, procedures and processes designed to improve safety. The SMS involves a large range of players. The state sets the safety objectives and the way to achieve them. It is responsible for regulation and enforcement. The EPSF issues authorisations, carries out audits and inspections, participates in the development of safety rules and contributes to the harmonisation of European rules. SNCF Réseau designs and maintains installations, manages traffic and intervenes in the event of incidents or accidents on the network. It also draws up the operating documentation applicable by the railway undertakings. Railway operators (primarily SNCF Mobilités) acquire the rolling stock, define their operational procedures in compliance with applicable regulations and control the way safety procedures are implemented. The Ground Transportation Accident Investigation Board (BEA-TT) investigates rail accidents. It has a distinct but complementary role to the EPSF. The EPSF’s decisions may be challenged before ARAFER. In 2004, Directive 2004/49/EC (the Safety Directive) established the European Railway Agency (since 2016, the European Union Agency for Railways), national safety authorities (NSAs) such as the EPSF, and post-accident investigation bodies such as the BEA-TT. The structure of the French NSA is based on the provisions of Law No. 2006-10 of 5 January 2006 on transport safety and development, and Decree 2006-369 of 28 March 2006 on the missions and statutes of the EPSF. ensuring compliance with existing safety regulations for the operation of licensed rolling stock and infrastructure, and compliance with the conditions under which authorisations were issued (planned audits, unannounced inspections and operational controls in the field, etc). Failure to comply with security provisions may lead the EPSF to restrict or suspend an authorisation. Decree No. 2006-1279 of 19 October 2006 on rail traffic safety and interoperability of the rail system, and the order of 23 July 2012 on authorisations for the construction and commercial operation of new or substantially modified rail transport systems or other subsystems, set out safety regulations that are applicable to the manufacture of rail equipment. Authorisations delivered by the EPSF cover the commissioning of rolling stock as well as technical subsystems such as new or substantially modified lines. The main rules regarding the maintenance of the National Railway Network derive from an order of 19 March 2012. To be admitted to operation, any new infrastructure must obtain a commercial operating licence issued by the EPSF. This authorisation certifies that the infrastructure meets the requirements of the safety and interoperability regulations in force (European and national regulations) and that it will be able to support all the traffic while ensuring the safety of users and third parties, as well as respecting the environment. Once authorised, the infrastructure must be entrusted to an infrastructure manager who will be in charge of its operation (operational traffic management), maintenance and development. For this purpose, the infrastructure manager holds a safety authorisation issued by the EPSF. Infrastructure managers must hold a safety authorisation issued by the EPSF that certifies its ability to meet the regulatory safety requirements and to control the risks associated with the management and operation of infrastructure open to public traffic. The main rules and general objectives applicable to the maintenance of rail equipment are defined by an order of 19 March 2012. Moreover, an order of 5 June 2000 sets out the technical maintenance rules applicable to rolling stock on the National Rail Network. SNCF Réseau will eventually issue specific safety and maintenance rules applicable to any railway undertaking using the National Railway Network. The Law of 3 January 2002 provides the legal basis for all technical investigations. It provides for such investigations to be carried out by permanent specialised bodies and for these bodies to have the right of access to all elements useful to an investigation, even those covered by non-disclosure of pretrial information, and medical or professional confidentiality. The Decree of 26 January 2004 established the BEA-TT, which is in charge of all technical investigations for land transport incidents. Articles R. 1621-1 to R. 1621-26 of the Transport Code provide for the investigation procedure. In principle, the passenger carrier has a performance obligation arising from the contract of carriage that it must uphold from the moment the passenger boards the train until he or she disembarks. Thus, the carrier is liable under a strict liability regime in the event of bodily injury caused to a passenger with a valid ticket for the entire duration of the journey. By contrast, outside the transport period, or if the passenger has no ticket, the carrier will be held liable in tort. In 2016, the French rail system accounted for €10.5 billion of public spending, half of it being paid to compensate special tariffs such as social tariffs, €3 billion accounting for investment subsidies (infrastructure and rolling stock) and €2 billion accounting for network access fees. Another €3.2 billion was spent on subsidies to balance the special pension scheme for SNCF railway workers and employees. In spite of this high level of public financing, a recent report noted that the system remained in deficit, at around €3 billion each year. This deficit has increased in recent years. Between 2010 and 2016, subsidies other than those going to the pension system increased by 10 per cent and operating allocations alone increased by 15 per cent. Public subsidies to the rail system amount to €200 per citizen per year, which is among the highest in Europe, after Switzerland and Austria. Pursuant to article L. 2141-19 of the Transport Code, agreements are entered into between SNCF Mobilités and the state or local public bodies, under which SNCF Mobilités receives state financial support (or local financial support) as part of its public service mission. SNCF’s employees are subject to special employment status, a strong element of French railway culture, which protects SNCF employees from economic dismissal. It also offers an advantageous retirement scheme and various social benefits. However, pursuant to Law No. 2018-515 of 27 June 2018 for a new railway pact, no new employee will be hired under the ‘special status’ after 2020. Railway workers will be subject to ordinary rules of the Labour Code and to a collective bargaining agreement that is still to be negotiated. With the exception of noise reduction objectives and the transport of certain dangerous products, standard environmental laws apply to rail transport companies. The Environmental Code mentions a number of obligations that apply to the rail sector. Article L. 571-10-1 stipulates that railway undertakings have to contribute to ‘noise reduction goals’, in particular by adapting the rolling and braking systems of their rolling stock. Article R. 571-35 sets a maximum noise level for railway infrastructure. Compliance with procedures applying to dangerous and harmful products is provided for in article R. 551-8 of this Code. Law No. 2014-872 of 4 August 2014 on railway reform established several measures to strengthen efforts to protect the environment. Article L. 2100-3 of the Act establishes a Rail Transport System Committee, in particular to deal with environmental issues raised by the rail sector. This committee includes at least one member of the environmental protection associations approved under article L. 141-1 of the Environmental Code. The Law also strengthens the role of ARAFER in the field of environmental protection. Law No. 2018-515 of 27 June 2018 for a new rail pact redesigns the French legal landscape. The main provisions include the following. The three SNCF entities, formerly corporate bodies under public law, will be transformed into state-owned joint stock companies. SNCF employees are subject to a collective bargaining agreement and no new employee can be hired under the ‘special status’ after the end of 2019. In line with Directive 2012/34/EU, as amended by Directive 2016/2370 of 21 November 2012 establishing a single European railway area, the law sets out the main rules to implement opening national rail passenger services to competition by 2020. As of 2020, every railway undertaking will have a right of access to the National Railway Network. In order to ensure the transposition of the aforementioned EU legislation, the government is authorised to take, through ordinances, any measure to implement the principle of open access to the National Railway Network. The law also aims to reform the governance of the infrastructure manager in order to provide guarantees of independence to ensure new entrants fair and equal access to the network.